I'm sure that this little "recipe" is nothing new to some of you. But, if you haven't tried it before, then stop what you're doing and run out and buy a bag of Rolo candy. These are so simple and delicious. 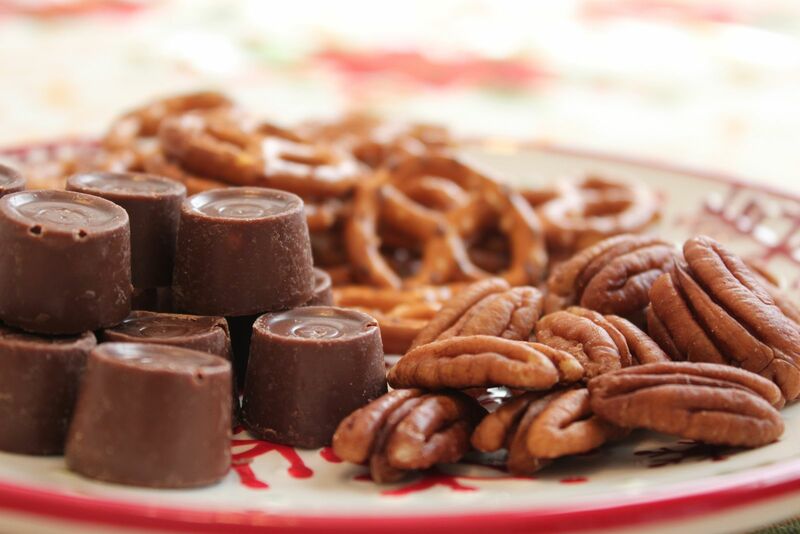 They're the perfect treat for your Christmas cookie and candy tray this year. I've been making these for years and they're always a hit!! Throw a few of these into your next outgoing cookie tin. 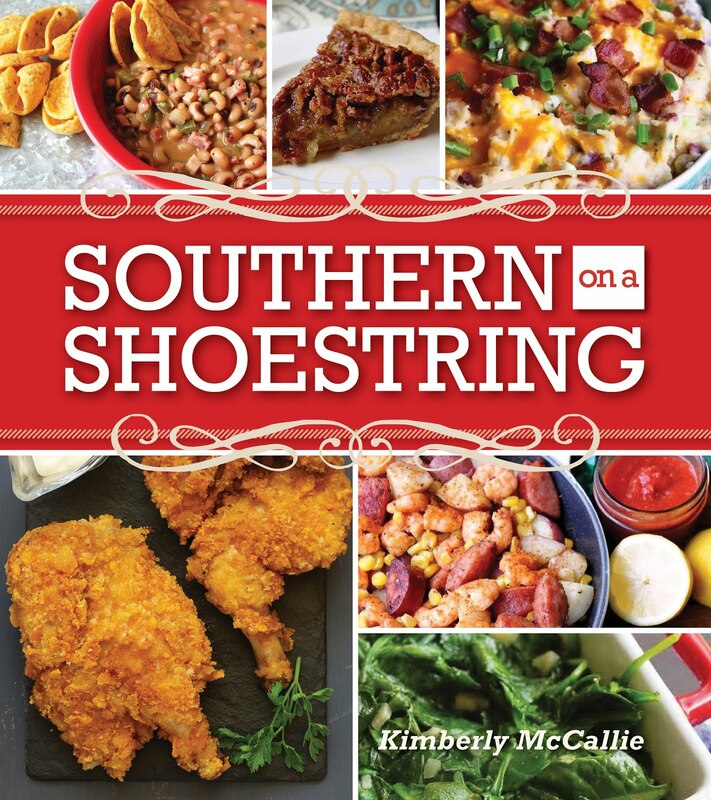 Your friends and family will thank you. Place the pretzels on a lined baking sheet. Sit one Rolo on top of each pretzel. Put in a warm oven for several minutes until the Rolos become soft. Remove from oven and press a pecan half into the warm Rolo. Leave on cookie sheet until the chocolate sets. 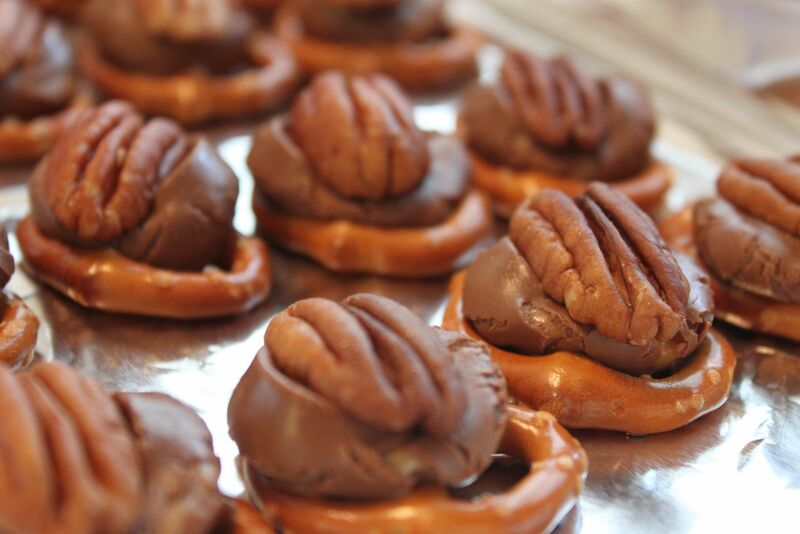 Three simple ingredients: Rolos, pretzels, and pecans. 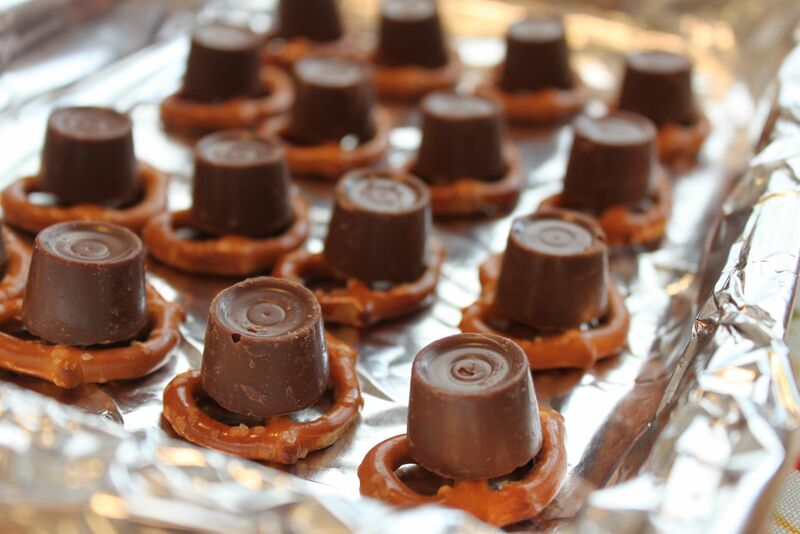 Place the pretzels on a lined, ungreased cookie sheet. 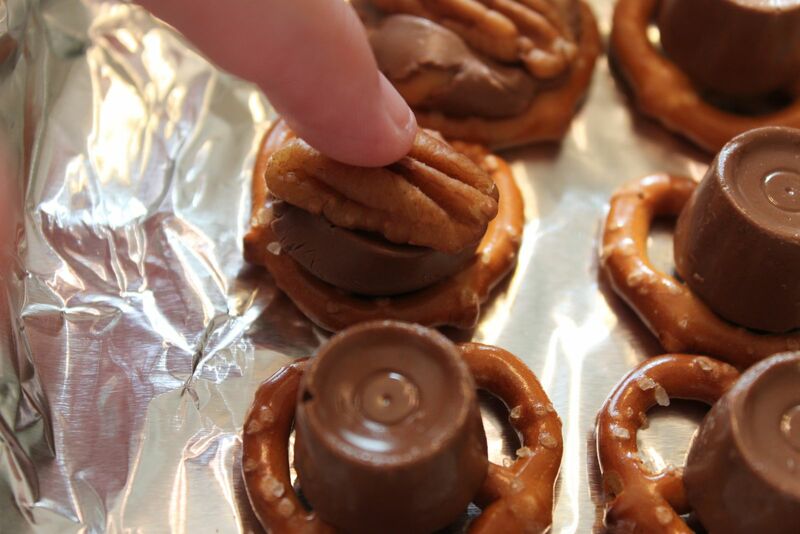 Put a Rolo on top of each pretzel. The oven temps can vary. I had just finished baking brownies at 325 degrees and put this pan of candies in for a few minutes until the Rolos started to soften. 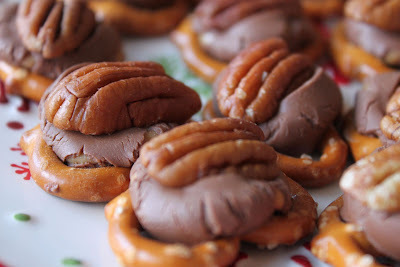 If you're frugal with your oven use, then plan to make these when you have other dishes baking. These only need to be in the oven about 3-4 minutes. They should retain the original Rolo shape, not melt all over the pretzel! If you have the patience, allow these to sit until the chocolate is firm again. These look awesome! Can you freeze these and if so, for how long? How do you get the chocolate to set up after heating it? Oh, once it cools back down to room temp, it will set up. I like to let it set overnight before packaging it.